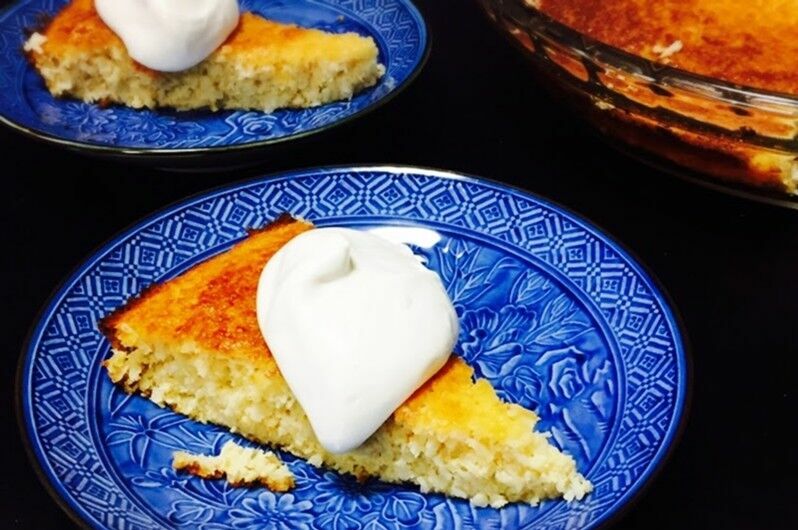 Marla’s Crustless Coconut Pie has been an amazing hit with THMs around the globe! Serve this for Resurrection Sunday, Mother’s Day, or any day dessert and even non-THMs will reach for another slice! This is a Trim Healthy Mama Community submitted recipe from Marla Ayatskua who lives in Japan. Marla says: "This recipe was a wonderful accidental discovery. I wanted my grandmother's coconut pie but did not have enough ingredients for a THM crust. So I converted just the pie filling from my grandmother's recipe to THM and baked it without a crust. It turned out so delicious! Non-THM family raved about it. It's quick to mix up and includes ingredients you probably already have on-hand. This is perfect to whip up the day before and take along to an event or just keep it all to yourself! Delicious and totally satisfying! And it tastes just as great a day or two later after it's been in the fridge!" Beat eggs and sweetener together for 2 to 3 minutes. Taste to be sure it is sweet enough, I am conservative with sweetener. Mix the rest of the ingredients together well, and pour into a greased pie plate. Bake at 350 degrees F for 45 minutes or until the middle sets up. Remove from the oven and allow time to cool. Cut and serve at room temperature or after a few hours in the fridge. Top with whipped cream. Whip together the heavy cream, THM Gentle Sweet, and vanilla extract until peaks form and add a dollop to the top of your pie! This is a NSI (No Special Ingredients) recipe if using a frugal Baking Blend flour replacement and an on-plan sweetener from the grocery store.